A conversation between Lynn Hershman Leeson and Artforum’s Editor-in-Chief, Michelle Kuo to celebrate the launching of Hershman Leeson’s first comprehensive monograph, Civic Radar (Hatje Cantz Publishers). The event will also feature to a sneak preview of the artist’s latest project. A substantial publication (almost 400 pages, approx. 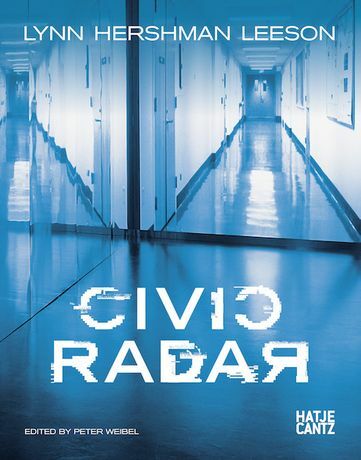 500 illustrations), Civic Radar spans five decades of groundbreaking work across disciplines and documents Hershman Leeson’s prophetic concerns as she creates art in response to the media of her time. It includes texts from multiple perspectives, including interviews by Laura Poitras and Hou Hanru, a conversation between Hershman Leeson and Nam June Paik, and articles by Peggy Phelan, B. Ruby Rich, Jeffrey T. Schnapp, Peter Weibel, and actress Tilda Swinton, to name a few.